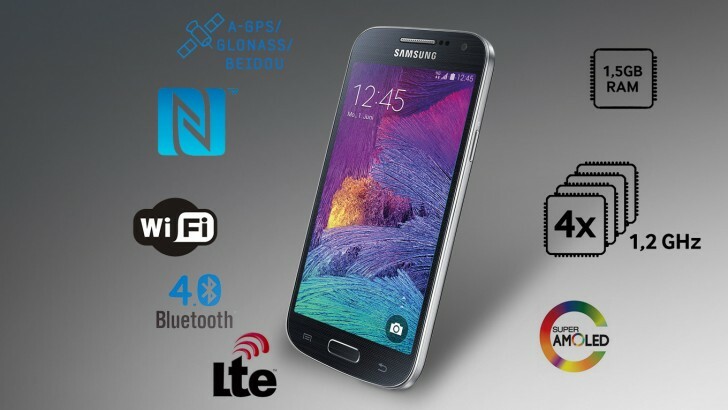 Samsung has launched a new flavor of the popular Galaxy S4 mini - it's called Samsung I9195I Galaxy S4 mini plus, or Galaxy S4 Value Edition depending on the market. It improves on the chipset, while keeping everything else pretty much the same. The I9195I Galaxy S4 mini plus features a 4.3" Super AMOLED qHD screen and runs on the Snapdragon 410 chip with a quad-core 1.2GHz Cortex-A53 CPU, Adreno 306 GPU and 1.5GB of RAM. Besides the power boost everything else stays the same - the 8MP cam with 1080p video recording, a 1,900 mAh battery and Android KitKat. The upgraded version was quietly listed on several Samsung regional sites in the EU last month and it's already on sale. We managed to find sellers for it in many EU countries, including Germany, Austria, Czech Republic, Romania and Bulgaria. The Galaxy S4 mini plus / S4 mini VE is priced at €239, but we were able to find it on as low as €190.